Explore our unique collection of our thoughtfully designed single hole faucets. The single handle faucets help you find the temperature easily. Many different finishes and styles are available to meet the design of your bathroom sink vanity. 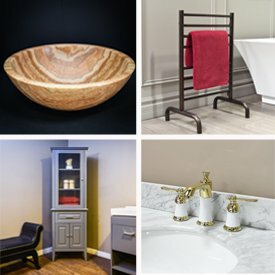 Learn about our custom vanity program. If you see a faucet below that matches a vanity that you like, give us a call at 1 (800) 574-3022 and we'll give you a quote!